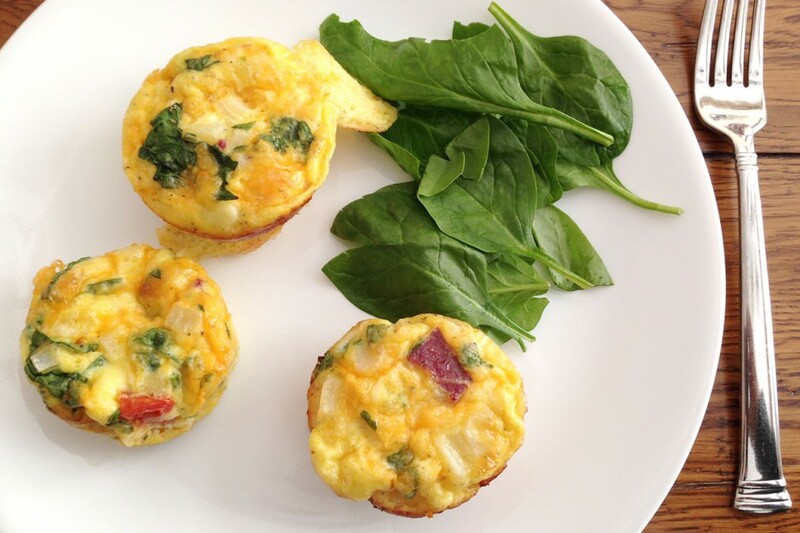 These little muffin-sized Frittatas have roughly 80-100 calories a piece yet pack tons of flavor, protein and nutrients. Delicious! Eat them right away, or refrigerate and reheat the next day in the microwave, or freeze them for a busy day. Makes 12 regular-sized muffins. Stir in the meat and veggies gently. Spoon into well-greased muffin pans. Bake for 20-22 min, until puffed and center is set. Let cool for 5 min before removing from pan.